Hardwood floor refinishers in Fort Worth report that professionally treated wood floors should last between 10 and 20 years before the next refinishing. But, as with other home improvements, buyer beware; not all wood floor refinishers work the same way or use the same refinishing products. While the life of a professionally refinished hardwood floor in Fort Worth may vary depending upon the maintenance protocol and climate, the quality of the new refinishing work depends upon the best practices of the Fort Worth refinisher. Experienced hardwood floor refinishers in Fort Worth use the latest tools, sanders and dustless vacuums and take great care in preparing the floor prior to refinishing. Often, this prep work can include identifying, lifting and replacing damaged planks. When these more extensive repairs are necessary, the cost of the job will increase. However, while cost is always an important consideration, return on investment should also be considered. If the refinishing work is performed to best standards, your wood floor can last 100 years or more and look as good as new after 10 years or more. The homeowner who learns as much as possible about how the work will be performed and the advantages and disadvantages of various finishes is ahead of the game and will have better insight into the true cost of hardwood floor refinishing. Hardwood floor refinishing commences with removal of furniture from the area where the work will be performed. Most homeowners in Fort Worth try this themselves so as to keep the cost down. The next step entails a thorough inspection of the wood planks. Occasionally, the wood floor refinisher will recommend a severely damaged plank be lifted and replaced. Once the inspection is completed and any abused boards replaced, the refinisher will use a highly abrasive grit sandpaper to begin cleaning the floor. Usually, once the initial heavy cleanup is performed, the refinisher will use two lighter grits to smooth the planks for refinishing. This is a telling step in the refinishing process. Details count and precision work pays big dividends. Large sanders are often used in this stage but some wood floor refinishers prefer to work the floor by hand, a time consuming but precise practice. Once the wood is clean and smooth, the refinisher will stain the floor and commence to apply several coats of finish. If the refinisher uses low cost products, the results could be disappointing. It is important that the homeowner and wood floor refinisher be on the same page about the quality of products used on the wood floor. In Fort Worth, hardwood floor refinishing costs vary, usually in a range of between $2.00 and $5.00 per square foot. According to Angie’s List, the cost of wood floor refinishing across the US averaged $629 per room. In Fort Worth, the cost of wood floor refinishing typically runs no less than $2,000 for 1,000 square foot. This price would include average, not upscale, stains and finishes and sanding with large sanders, not by hand. Price is always important but homeowners should be engaged and understand how the wood floor refinisher will perform the work. 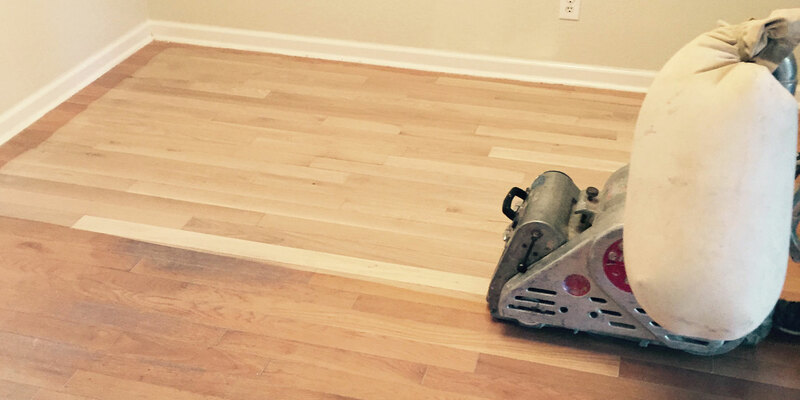 Hiring a good, experienced wood floor refinisher with a great track record has many benefits. If you would like a free quote to refinish your hardwood floors, please give us a call at 817-886-4366 or get in touch on the contact page.